The recent flurry of departures from agencies including Ogilvy, Grey and, of course, their holding company WPP, indicate a shifting landscape that is set to continue, analysts have warned. Just last week saw the end of a two-year reign as chief executive at Grey London for Leo Rayman, as he was moved to head up its newly-launched management consultancy arm, Grey Consulting. His departure was the latest in a dizzying round of changes at the top of many of London’s ad agencies. 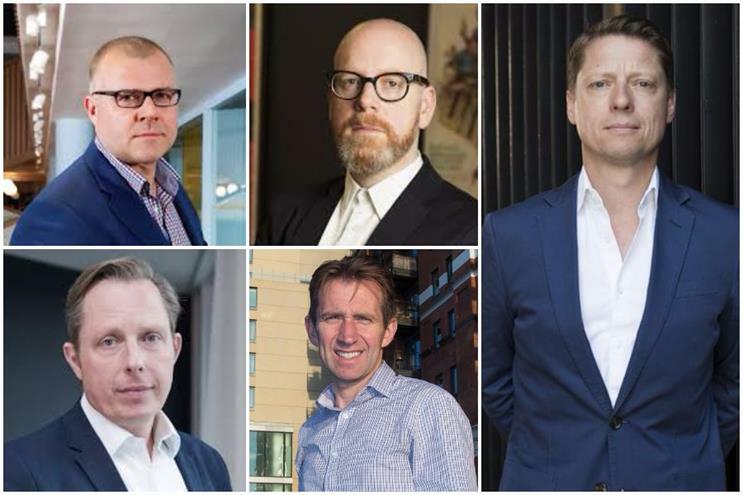 The reasons for the various departures are myriad – Bartle Bogle Hegarty's Ben Fennell, for example, is leaving to pursue his entrepreneurial zeal, while Charlie Rudd is moving on following a restructure at Ogilvy UK that saw his job role change. But there does seem to be an unprecedented amount of change at the top. In its case, Grey Group worldwide chief executive Michael Houston says that the new structure that Rayman is moving on is an attempt to tap into the market for more strategic thinking from agencies. Others suggest it could be a fig leaf that allows Rayman to leave Grey London with his dignity intact. Nonetheless moving – or giving the impression of moving – into the management consultancies territory is one more agencies may look to take, as management consultancies move in on theirs. The fact that Grey is launching its offering as a standalone business rather as an integrated part of its London ad agency gives the impression that it had not convinced clients that it was capable of offering it in its current form. The latest Dentsu Aegis Network Chief Marketing Officer Survey 2018 report – which surveyed 1,000 chief marketing officers in the US, UK, Europe, Australia, China and Russia – found 29% intend to work more with management consultancies over the next two to three years. Annette King, the recently installed chief executive of Publicis Groupe UK, said: "Our clients’ businesses are changing, so our industry needs to change too. Fast. We need to break with the ways of the past and move into the future. That will inevitably result in changes in who does what, as we’re seeing in the UK at the moment." With "many well-known or large agencies struggling and looking to reinvent themselves", Pivotal Research Group senior analyst Brian Wieser added that while "some leaders may have been the right person in a prior period, it can be that they are not deemed to be the right person going forward". However, changes were to be expected as agencies came under pressure to evolve their offer, Sarah Libbey, founding partner at creative headhunting agency The Longhouse, said. "The real power will come to the agencies that become true strategic and commercial partners," she said. "There has been significant investment over the last two years in senior strategy leaders reflecting the need for agencies to become commercial and business partners and less of a service provider." Pointing out that "leadership needs to be about more than running a well-oiled machine", Libbey added that sector changes are likely to continue. "Agencies are having to change quickly to reflect client needs and that can mean leadership needs to come from different places from people with different skill sets," she said. Meanwhile, in the same week as Rayman’s move, Charlie Rudd’s departure from Ogilvy was a beacon of the fallout that can ensue from agency restructuring. The Ogilvy UK chief client officer – a title created following the May 2018 restructure that saw Rudd’s role as chief executive of Ogilvy & Mather disappear – followed colleague Clare Donald’s departure three weeks before. Jo Coombs, the chief executive of the now defunct OgilvyOne, quit before the restructure was completed. At other agencies, Bartle Bogle Hegarty London's chief executive Ben Fennell announced he was resigning in June after 25 years, while the past year has also seen the likes of Dale Gall, group chief executive at MullenLowe London, quit and Paul Lawson move from Leo Burnett London to Y&R London. And "change at the CEO level tends to have a ripple effect", Ian Whittaker, head of European media research at Liberum, highlighted. Of course, in the scheme of changes in the industry marked by the resignation of holding company WPP’s chief executive Sir Martin Sorrell in April, these moves are perhaps par for the course. Matti Littunen, senior research analyst at Enders Analysis, said: "Some restructuring at WPP agencies, including changing of the guard, was inevitable after Martin Sorrell's departure. "Indeed, some of it would have likely happened even had he stayed on, such is the pressure on the holding group model." He believes that creative agencies, such as Ogilvy, have taken a back seat in the holding group model as media agencies took over much of the strategic planning for client accounts. Littunen also told Campaign that consulting is going to be the way forward for the industry. "Professional services firms have gradually expanded their offering to advertising services, increasingly taking away agency business," he said. "Leo Rayman's move is yet another indication that WPP intends to meet this challenge by going in the opposite direction, by expanding further into professional services, but also that they see creative as a key differentiator in doing so." A direct challenge from the professional services industry to adland may have seemed an unlikely fit when Accenture dramatically bought creative agency Karmarama in November 2016, but this model now looks like the future, and indeed the present in some cases. Alex DeGroote, media analyst at DeGroote Consulting, said: "The amount of restructuring underway in UK marcoms reflects unparalleled industry disruption. "In the new world, the consulting mindset will win out for better or worse. At the holding company level, we can see with the departure of Sir Martin Sorrell and the "retirement" of Maurice Levy, that there is a new generation of leadership. This will also filter down to the agencies themselves." Last month Publicis.Sapient's chief operating officer Ewen Sturgeon left the industry, describing the tensions in the industry between the current agency model and the growing importance to clients of owning and acting on data. Similarly, Karen Buchanan left her role as chairman of Publicis London and chief client development officer across Publicis UK in May. Julie Langley, partner at M&A consultancy Results International, said: "The holding companies are all going through various forms of restructuring to try to stay relevant to their clients, and it’s inevitable that will lead to turnover amongst key personnel. I’d expect there’ll be more to come as the networks continue to try to break down "silos" and create a more joined-up way of delivering their services." Recurring calls for the agency model to transform in order to meet the requirements of the new world have led to "that transformation actually happening", said Kathleen Saxton, founder of talent management agency The Lighthouse Company. "What this transformation inevitably means is a change in leadership; be it as a result of individual leaders choosing to focus on new journeys in new domains or indeed the agencies securing the new talent needed to lead into the future," she pointed out. "The disruption we’re all experiencing shows no signs of abating – in many ways it’s the new world order – and as agencies continue to pivot I’m sure the demand on great leadership will become even more acute."